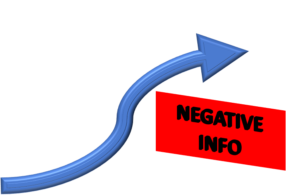 Dealing with the Negative - Job Interviews Part 2 - Southeast KANSASWORKS, Inc. Fired: Admit you were let go (do not use the word “fired”). Explain the reason without getting defensive. Don’t say negative things about your old boss or company. Explain that this was an isolated occurrence and that it will not happen at your new job. It may be possible for you to convince your previous employer to say something less damaging. Be sure that you and your former boss are saying the same thing. Out of Work For a Long Time: Sometimes an employer will ask what you did while you were out of work. Rehears your answer before you are asked the question in an interview. There must be something productive that you did while you were out of work. Possible answers include: I stayed home to care for my children, I took classes at the community/tech college, I have decided on a new career/focus, I took an extended vacation or trip, I stayed home to care for a parent, or I was involved in a home improvement project. Not Enough Experience: Use relevant volunteer experience, education or hobbies on your resume and job application. Focus on your readiness to apply yourself to your new career. Emphasize your transferable skills. Lack of Education: Don’t bring up lack of a degree. Focus on your skills and abilities, your past experience, volunteer work and training. Don’t lie if you are asked directly about completing your education. Internet: “Google” your name to see what employers may find. Remove any compromising photos or information form your social networking profiles. Be ready to do damage control for negative comments people may have said about you. Do not lie about your past or about negative issues. If the interviewer discovers you are lying, ore even suspect it, you will almost certainly not get the job. If you do get the job, you could be fired at any time for lying to your employer.